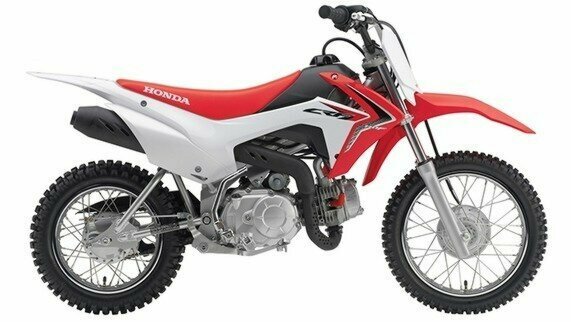 Designed for the younger generation of off-road riders, this new CRF boasts a brand new engine with electric start, a new chassis plus CRF450R motocross styling all rolled into one appealing package that is ready to outperform the competition.^^Offer ends 30/04/19^^*Ride away price includes all offers, cashback, rebates and discounts.^^Please note this price is for Queensland only. This price may not include all features and colour options. Please contact your local Honda dealer for location specific pricing.